I enjoy watching the sun set over the Mississippi Sound. And a couple weeks ago, my wife and I journeyed to one of our favorite eating out spots to watch the red ball sink into the water. And that occasion brought to mind something that I had read or heard which was uttered by an entertainer who is well-known along the Coast. He said that during the summer he enjoyed watching the sun set into the Gulf of Mexico (Mississippi Sound). That sounds good, but its not correct. The sun does not set over the Gulf of Mexico during the summer. The reason being is the east-west lay of the land on the Mississippi Gulf Coast and the sun’s path of travel. The sun is seen at its most northern spot in the sky on a date close to June 21 which is the Summer Solstice. This is the day of the year with the most daylight. During this time, on the Mississippi Gulf Coast, the sun is far north of setting over the Gulf. It is in a position of being north of due west. 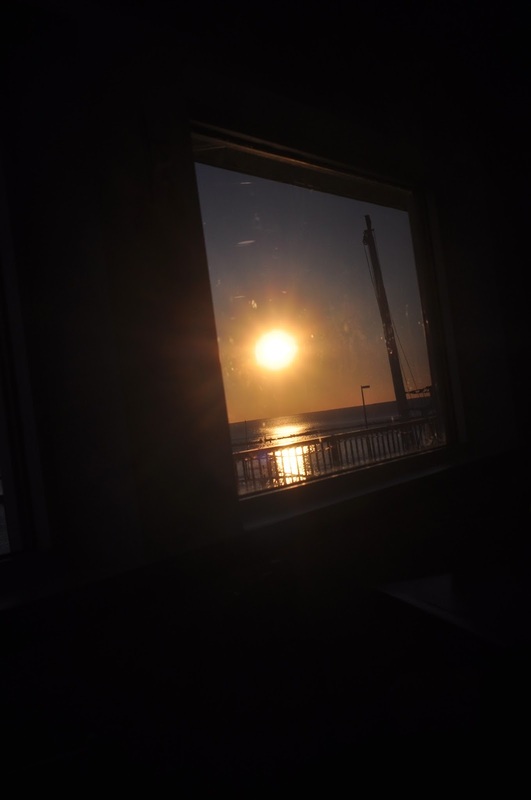 Therefore, one can only watch the sun set over the west end of Biloxi Bay which hugs the north side of the landmass that encompasses Biloxi and Gulfport. As December approaches, the sun’s position in the sky is farther south as the Winter Solstice nears, which is around Dec. 21, the day with the least amount of daylight. We went to eat out in January, because I knew the sun would be setting over the Sound. McElroy’s Harbor House is our favorite spot and didn’t disappoint, although the sun did, just a little. The restaurant, on an east-west plane, has a wall of windows oriented to the south and offers a great view, from due east to due west. There weren’t any clouds in the sky. As the great, giant red ball headed toward the horizon, it was just that, nothing more, as far as providing a spectacular offering for an exceptional sunset photo. Still a little "California Dreaming"